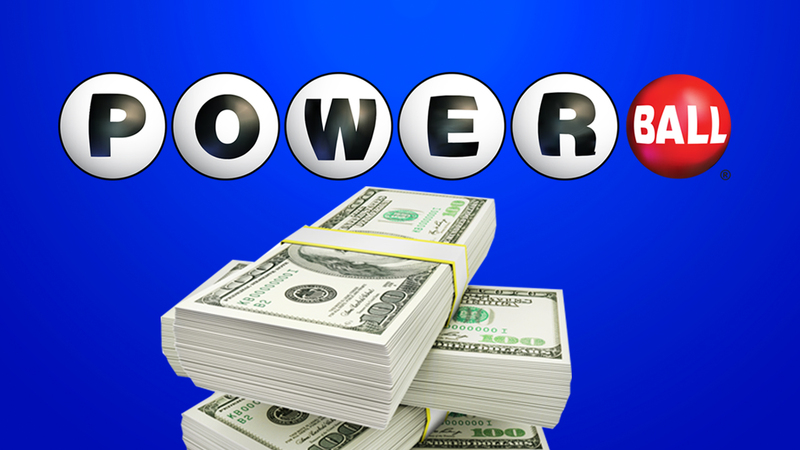 NEW YORK (WABC) -- Powerball officials say one ticket sold in New Hampshire matches all six numbers in the Powerball drawing worth $487 million. The numbers were drawn Saturday night for the nation's eighth-largest lottery jackpot. Drawings are held twice a week, and every one that passes without a winner means the prize grows larger, fed by the purchase of more $2 tickets. It's harder to win because the Multi-State Lottery Association changed the increased the odds of winning. They wanted to generate bigger jackpots that would increase sales and produce even larger prizes. Thanks to the change, three of the largest Powerball prizes, including the current jackpot, have occurred in 2016 - a tally that could grow with five months left in the year. Saturday;s big but less than a third the size of the record $1.6 billion Powerball jackpot won in January by players in California, Florida and Tennessee. At $478 million, the prize would be the fifth-largest in Powerball history and the nation's eighth largest overall, just behind a $536 million Mega Millions prize won July 8.